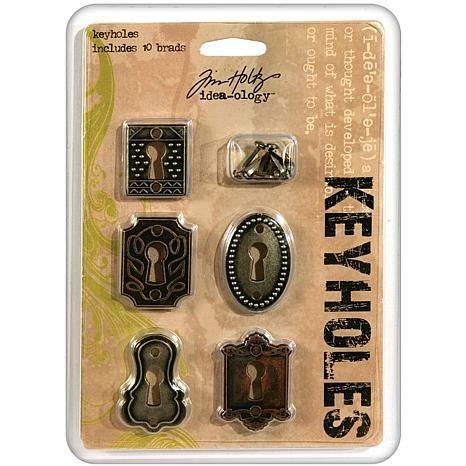 ADVANTUS-Tim Holtz Idea-ology Keyholes. Take a peek through these portals of the past. 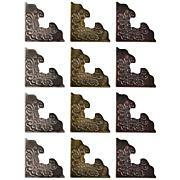 These metal keyholes can be used on your scrapbook pages, greeting cards, home decor and even jewelry to add a touch of intrigue. 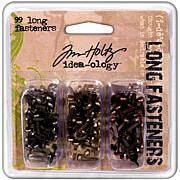 Each design has dimensional detailing with a classic vintage style. Use along with idea-ology Work Keys to unlock your inner creativity (not included). 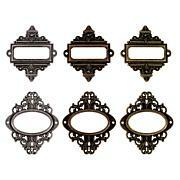 Package contains five keyholes measuring approximately 1-1/2x1in: antique brass, antique nickel and antique copper. Imported. 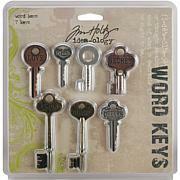 Love all Tim Holtz products, make sentiment necklaces for family and friends and they love everything and wonder where I get them. once again a grand slam hit. Really unique new element to incorporate into your scrapbooking projects. Just add mini door knob.